The 172P, or Skyhawk P, was introduced in 1984. 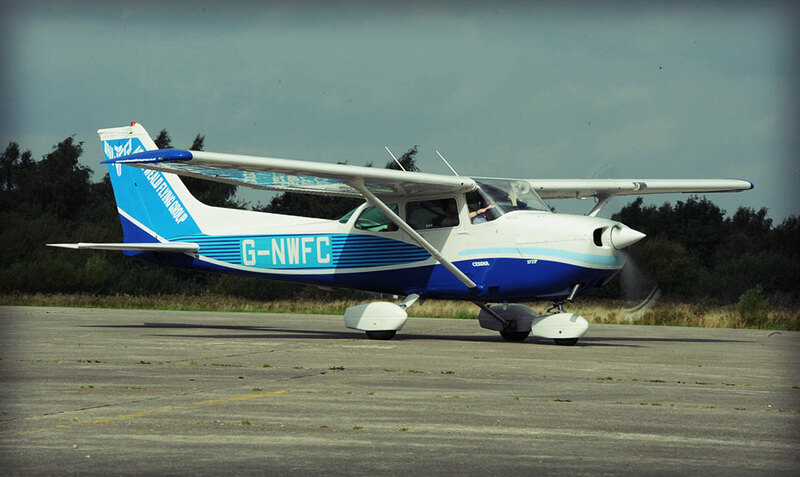 Our Cessna 172 P long range tank version otherwise known as the Dreamliner, G-NWFC was originally purchased in Michigan from a university along with it's stable mate G NWFG. In August 2012 we commissioned Mick Alan and Sons to undertake a bare metal respray and match the paint scheme of the aircraft as close as he could to the Boeing Dreamliner paint scheme. The end result Was North Weald Flying Group's own mini Dreamliner. *based on original manufacturer stats. Below is a weight and balance calculator for this aircraft. To use it, type in weights (in pounds) in the left-hand column of text boxes, then click "Calculate", and you should see the cross on the weight/balance graph move.